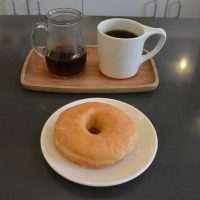 If I was still running the Where It All Began Coffee Spot Award, then today’s Coffee Spot, Intelligentsia’s branch in the Monadnock Building, on Jackson Boulevard, right in the heart of downtown Chicago, would be a shoe-in. It’s the second-ever Intelligentsia, a Chicago coffee roaster which now boasts six coffee shops in that city, plus three in Los Angeles and the High Line Hotel in New York City. I think the Jackson Boulevard branch opened in 2002, but it was certainly there when I first visited Chicago in 2003. It’s quite possibly the first speciality coffee shop I ever visited, although back then I had no idea that speciality coffee shops existed. 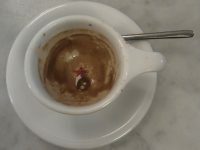 All I knew was that Intelligentsia served exceptionally good coffee.